Not every purchase is equal. For every $100 you spend at a local business, $68 gets returned to the local economy. The return from chain stores is about $43. Local businesses are more likely to hire locally, source locally and invest their profits locally. Shifting 10% of our spending to local businesses creates jobs and develops new economic support. If it’s not all about the money for you, then consider the impact your local purchases have on our community. Our local shops and businesses provide a foundation on which our community is built. Local businesses provide us with the things we need to live, they employ our friends and neighbors, and they serve as our community gathering places. 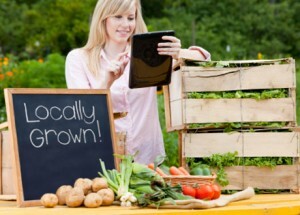 Buying local is about owning our local economy, and taking responsibility as consumer to make it what we want it to be. That means using our buying power to create new opportunities for businesses and entrepreneurs. Have you ever found yourself wanting something but unable to buy it locally? What did you do? Drive out of town to find it? Order it on-line? Next time, instead of sending your dollars elsewhere, think about what you can do to entice a local business to provide what you want by going and talking to them. When you shop locally, not only can you easily make your desires heard to business owners, but you can bring 15 or 20 of your friends along to make the same request. Before you know it you’ll see businesses expanding, and new business opening to meet the demand that you’ve created by BUYING LOCAL FIRST. It’s an exciting thing when you realize your consumer power. Local businesses employ local people, make decisions locally and keep their earnings in the local community through employee compensation, promotions and capital investments. ShopLocalOtsego encourages residents and visitors to look local first when shopping for goods and services in order to sustain our local economy. 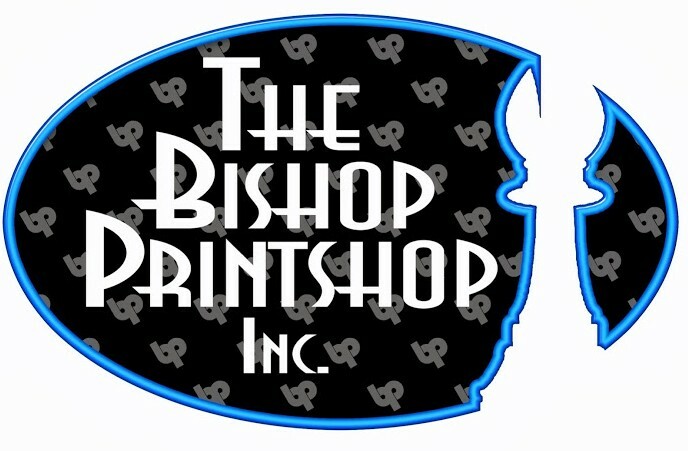 ShopLocalOtsego supports small business marketing through collaborative print and digital media and is administered through a partnership between Central NY Mobile Marketing and the Bishop Printshop. The local economy, character, health, environment, food system and reinvestment are the foundations of the community. A buy local program supporting local businesses will strengthen these essential elements and ensure the future prosperity of the county. 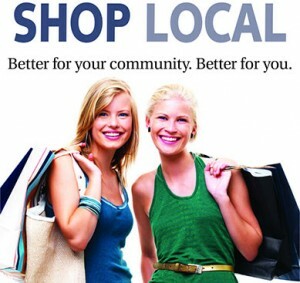 Money spent at locally owned businesses continues to circulate locally and strengthen the local economy. When you shop at locally owned businesses up to 80% of every dollar you spend is re-circulated into the local economy, while at non-locally owned stores, sometimes only 30% of every dollar is reinvested in the local economy. Those dollars spent locally go to pay workers fair wages, to create new jobs, to pay local taxes, to make improvements to the store fronts that will enhance the local character, and to be further invested in other local businesses. The tax dollars of locally owned businesses stay in the area to support local services and infrastructure. The unique identity of the community that local businesses provide is valuable to the local economy through tourist attraction and enticing new locals to call your community home. Local businesses collectively employ the majority of local workers, enabling your neighbors to provide for themselves and their family and assist others in the community and thus creating a more stable, healthy community. Local businesses reflect the needs, values, and traditions of the community; emphasizing customer service is about providing a quality of life experience for the customer. Central NY is a unique place with a unique history that has shaped its environment and its residents. Locally owned businesses complement and enhance the unique identity of this area and its people. Nationally owned chain stores have the same look, merchandise and policies regardless of their location. A local business tailors its products, services, and policies to best accommodate its customers, the local residents. Local retail shops serve county residents as more than just a point of purchase, but as a gathering place; a place to catch up with neighbors, find out the latest news, and share stories about family and friends. The unique identity of our region created by local businesses is valuable through the effect it has on tourism as well. Tourists set out to visit a destination with distinguishing characteristics, not just anyplace. Central NY’s cultural and recreational attractions become more enticing when the surrounding businesses offer insights into and a touch of the heritage of community. The only place in the world where they will find these businesses is here. Preserving these local businesses by consciously choosing to support them ensures the region’s valuable heritage will be part of its future. Locally owned businesses have a higher commitment to the health of the community, especially the physical hea lth of their family, friends, and neighbors. When you can buy food from local producers, it is fresh. To the consumer, fresher means confidence that its nutritional value has not deteriorated. Consumers can be better aware of what processes their food went through before reaching the table. Eating fresh, local produce is a good way to maintain healthy eating habits. Furthermore, when you buy local produce, you reduce the impact your food has on the environment. You limit the distance it needs to travel and any unnecessary preservative otherwise needed. This reduces the pollution in Central NY and helps to ensure clean water resources and natural habitat. Clean water and air are vital to maintaining a healthy and active lifestyle. Local businesses are often located in town centers, encouraging consumers to walk around, breathe fresh air and meet other locals. In addition to enhancing physical well-being, these activities support mental health. Local business owners live in the same county and care that it is a healthy place for future generations. The impact that citizens have on the environment is an important aspect of the sustainability of a community. Locally owned, independent businesses have the freedom to choose environmentally friendly practices that aid the health of their local environment. Furthermore, locally owned businesses can purchase locally produced products and food, conserving pollution, preservatives, and wasteful packing material. Pollution and congestion are also kept to a minimum when consumers purchase from local businesses rather than traveling further away to shop. Often, small businesses are located in a concentrated business districts, helping to reduce sprawl, loss of farm land, and loss of natural habitat. 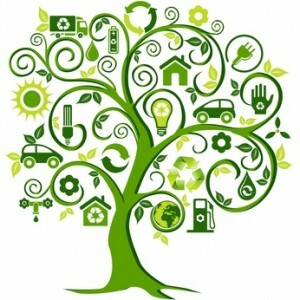 Generally, environmentally friendly practices are those that aim to reduce waste of material and energy and have the least impact on the air, water, and earth. A sustainable food system ensures profitable farms and increases access to fresh locally produced food, in turn enriching the lives of the entire local county. Quality food production, a foundation of our community, is all too often taken for granted. Locally grown fresh food tastes better and more wholly provides nutrition than non-locally grown food, which deteriorates over the 1,500 miles that most food takes to reach our region. Shipping food that distance adds costs that are passed on to the consumer, raising the price and making it more difficult for families to afford healthy food on a budget. Increasing access to local, produced food is good for the local health of the residents as well as the economy. With increased demand of their products, local farm businesses need to increase their employees, creating local jobs, as many farming and harvesting activities are labor intensive. A sustainable food system is a key part of a sustainable living economy. It entails cultivating and harvesting food products in an environmentally conscious manner, increasing access of consumers to the wholesome, fresh, locally produced food and sustaining the profitability of farming operations. Through these objectives, farms remain on their land and continue providing fresh food products for the local population. Profitable farmers would then be able to enrich the county with taxes and income while their products aid the local health. Addressing the large need for fresh food in the local school system is of special importance to this program. Locally produced food would be healthy for local students and affordable for the schools to provide in their offered meal programs. Fulfilling the need for the large amount of food needed by the schools to meet the dietary requirements of their entire student bodies would generate a great deal of revenue to support local farmers. L ocally owned businesses invest personally and financially in the well being of their neighbors through support and participation in community projects, groups, and non-profits. Local businesses are the names you see on the backs of local little leaguers and in their outfields. They collectively provide major funding for local non-profit and community groups. The business owners are often fundamental members of the groups themselves, as board members and community leaders. Local business owners are friends, neighbors and relatives. They want to see the county succeed and flourish. Local business owners understand that if their neighbors aren’t doing well, their own business won’t either. They strive to support their community and the county because the community and county support them. Therefore, health of the local community is always worth investing in because it is vital to the health of their business. Business owners invest in the aesthetic appeal of the community as well, by enhancing their store fronts and maintaining the walkways around their establishment. Supporting local businesses is the best way to ensure that the county retains access to the most innovative and fairly priced products.